We drove north from Brookings to check out a lighthouse. 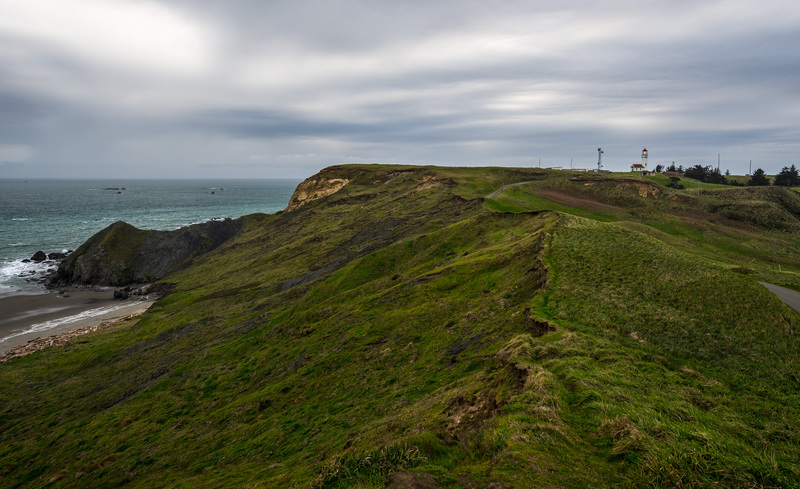 Just north of Port Orford is Cape Blanco Lighthouse. Hwy 101 is inland quite a bit as it passes the Cape, so we drove over 5 miles from the highway just to get to the shore. What’s this? The gate is closed. Ahh, low season…access to the lighthouse only occurs as part of a tour group, and they don’t run tours this time of year. No problem, we can walk around the gate and hike the last quarter mile across a beautiful, rolling landscape that overlooks the ocean. So, you get a picture from the parking lot.